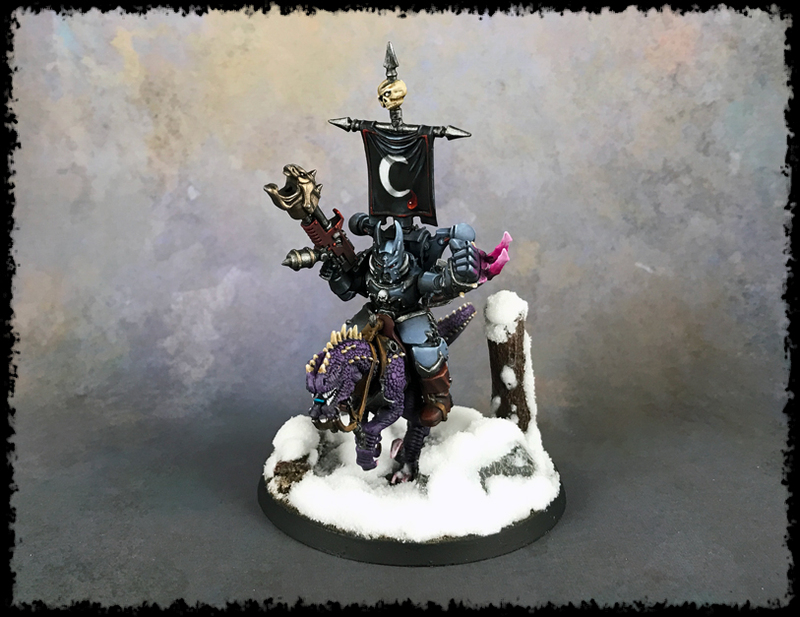 Painting Miniatures with Style - What is it Exactly? 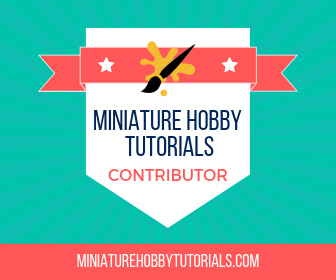 HomeMiniature HobbyTutorials & GuidesPainting Miniatures with Style – What is it Exactly? 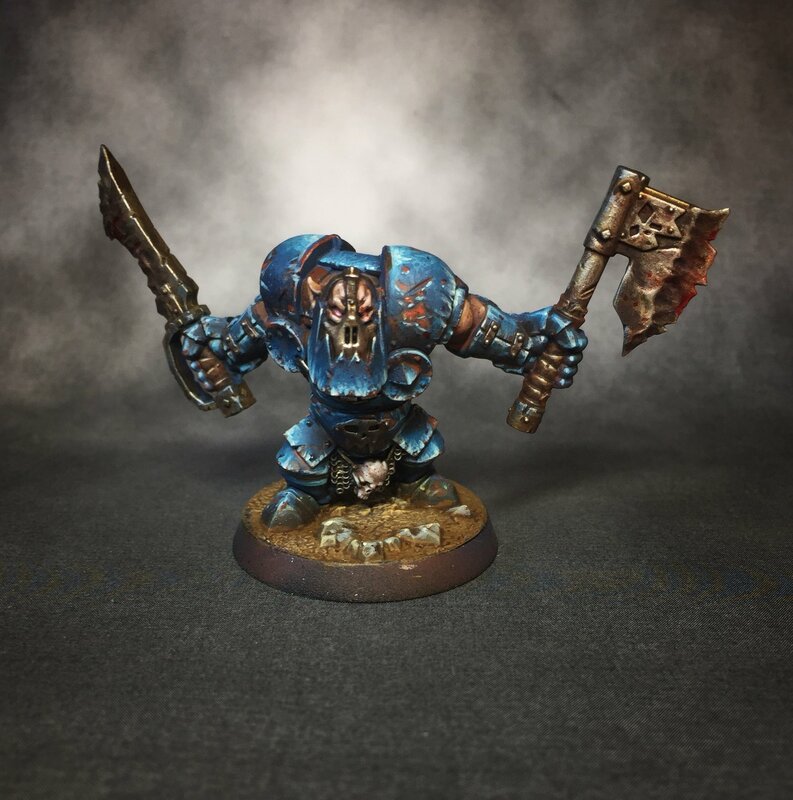 There’s no shortage of articles related to painting your miniatures that focus on technique, color theory and the like. 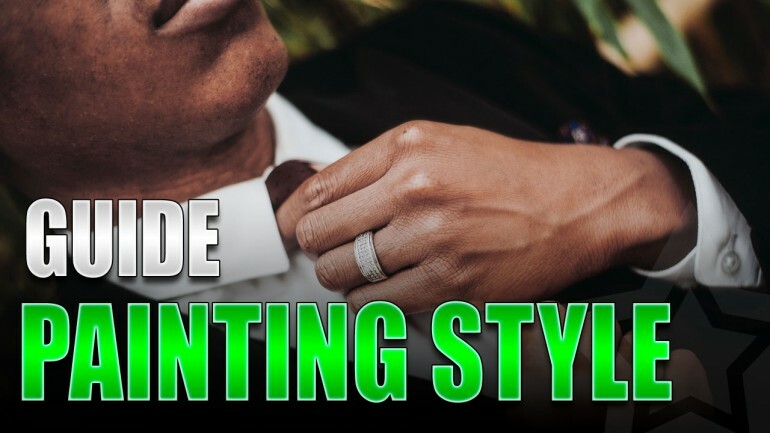 The thing that often seems lacking in most of these articles is style. Over time we all develop a style of painting and sometimes we don’t even realize it. I know I had a style of painting long before I became aware of it. I’m not talking historically about how painting came to be, but instead where we all start with it. 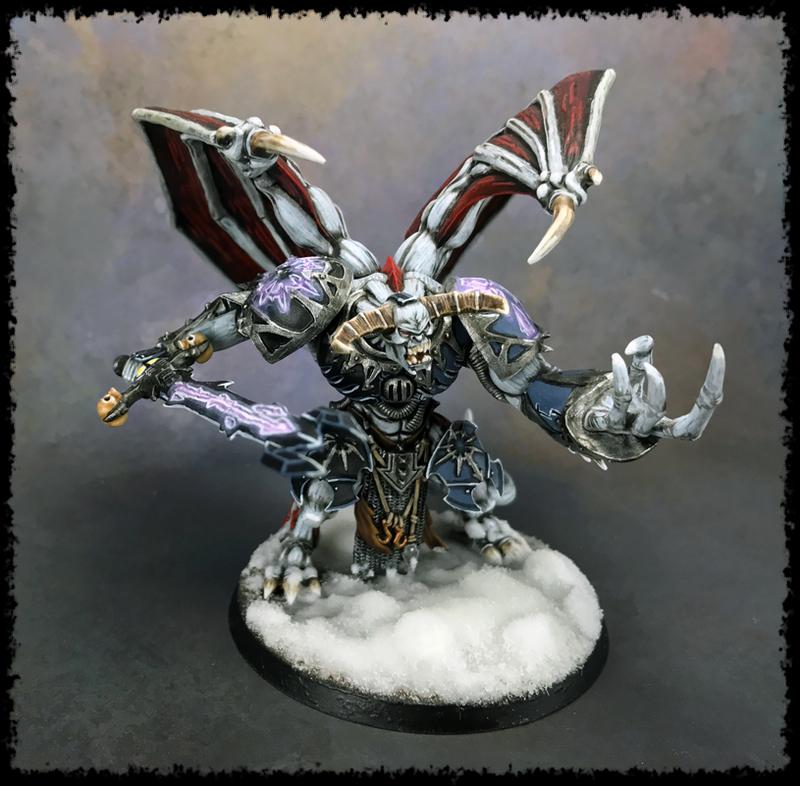 It doesn’t matter much at what age you get into wargaming and painting miniatures. The steps of learning are often the same. First, we slap paint on the model (usually way too thick), and try to “stay between the lines” as it were. At some point we learn about dry brushing and our mind is blown. So, we dry brush everything under the sun. 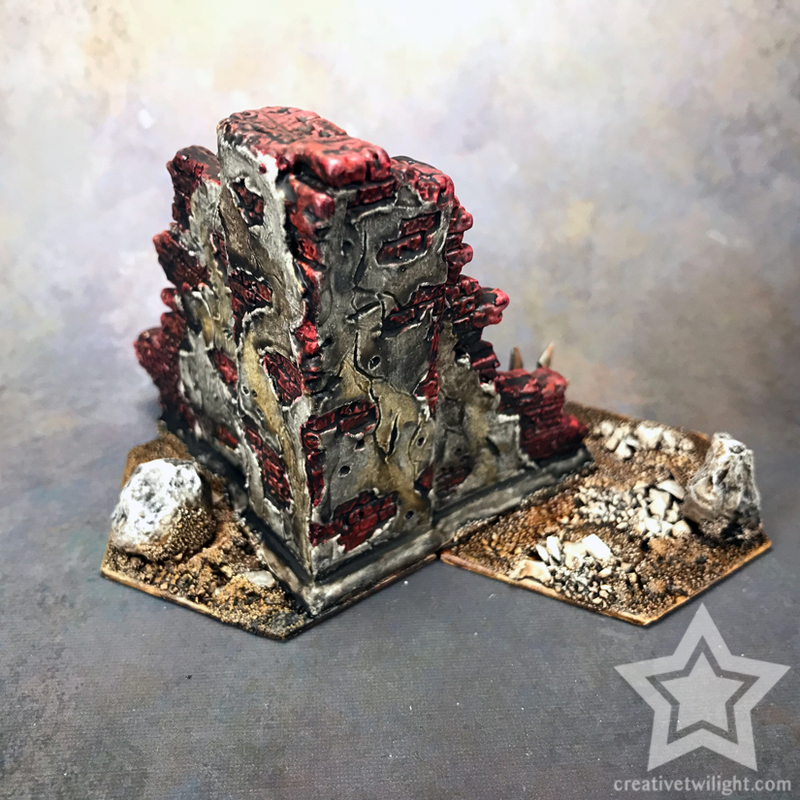 Washes get introduced to us and we wonder how we ever painted without them. Eventually we learn about layering paint, and shortly after edge highlights. From that point on it varies, and some never step outside that box, and that’s honestly fine. 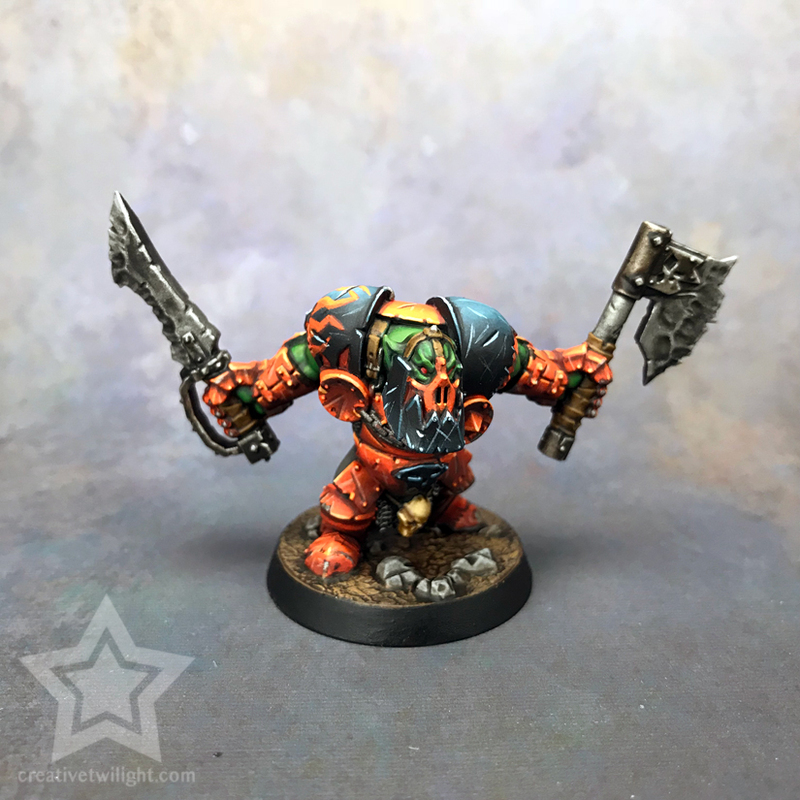 Some people really enjoy painting, I count myself among them, and learn about color theory, blending techniques, NMM (non-metallic metal), and any other advanced technique that can be learned. Whether your toolset with painting is limited, or you’re someone always pushing your boundaries, there’s one thing that I don’t feel can ever be taught, and that’s style. distinctive appearance, typically determined by the principles according to which something is designed: the pillars are no exception to the general style. 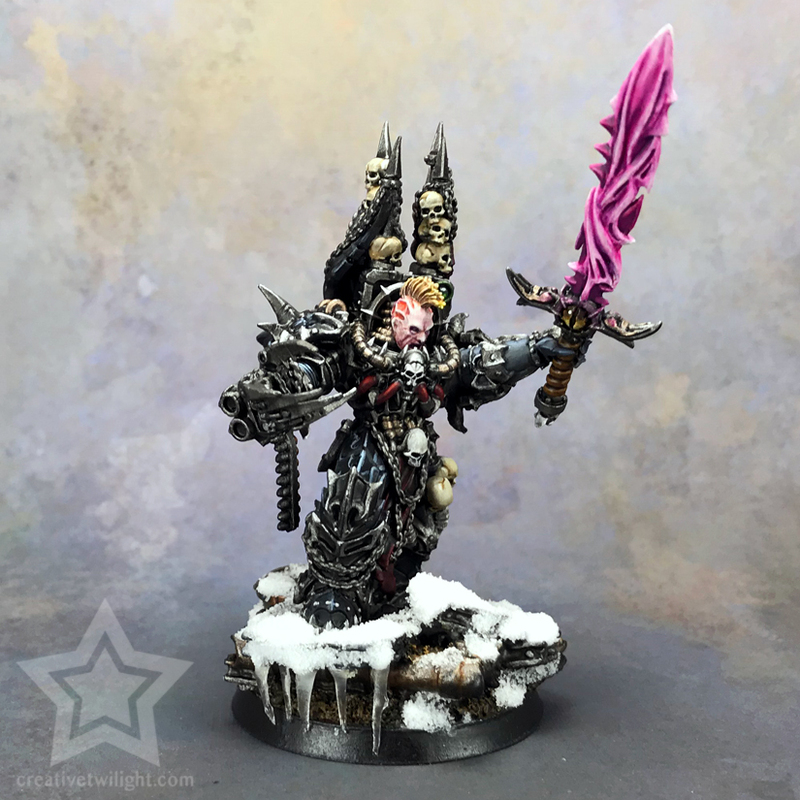 If I were to put down a model I painted next to a model that another person painted, and we were equally skilled (for better or worse), and we both painted the same model then our style would be the distinguishing factor. No two painters paint exactly the same even when given the same task. Your own preferences come through, your experiences, and the techniques you use will ultimately create a style all your own. In my opinion style is the most defining factor for a great looking model. 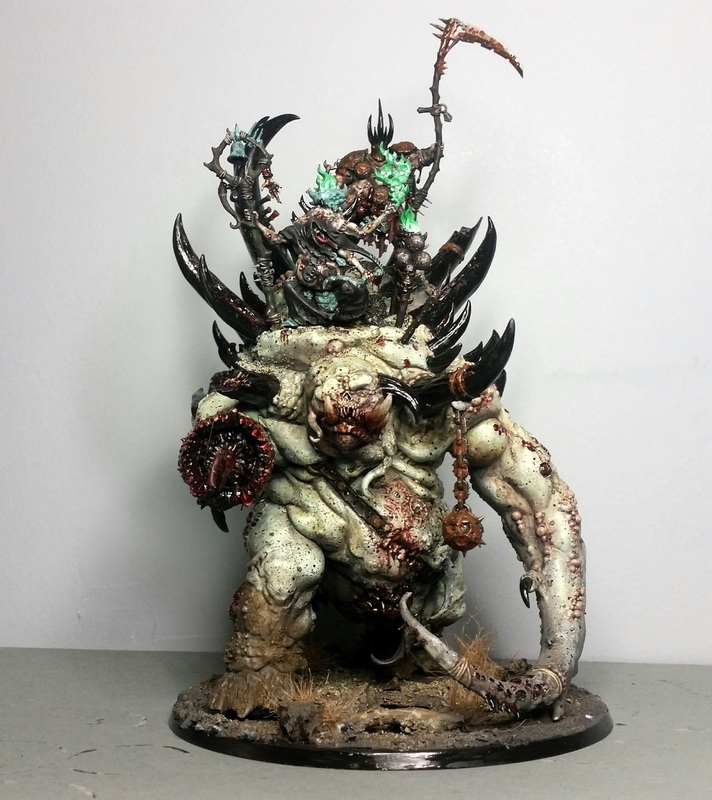 A model painted with less advanced techniques, but a distinctive style will always (to me) look better than a model showcasing every advanced technique possible but lacking style. A great style will have a way to pull your eyes where the painter wants them. 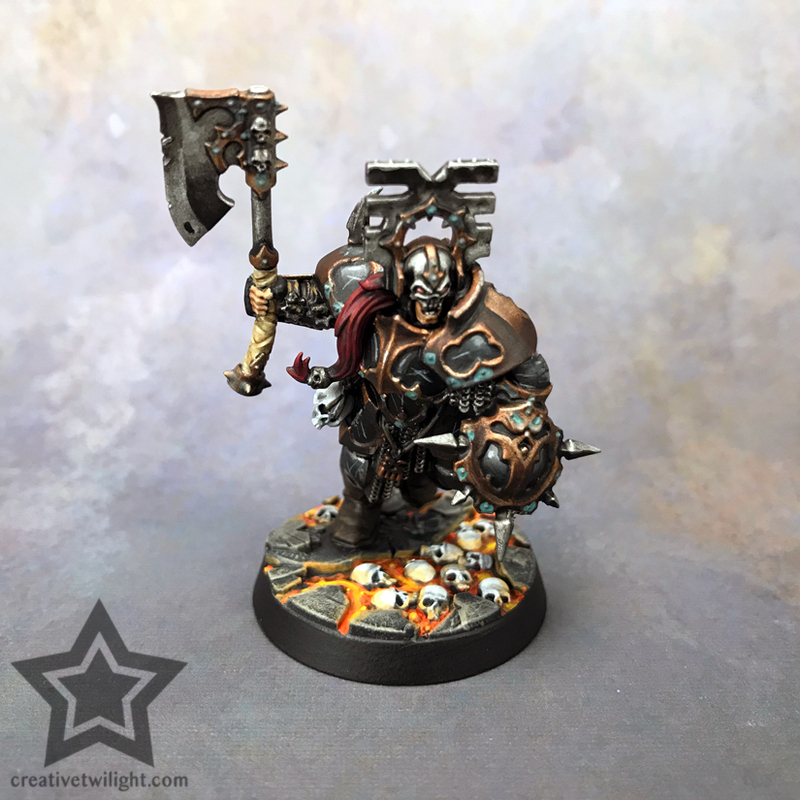 It will take the different painting techniques on the model and bring it all together into a cohesive form. Style will give the model emotion and depth. Style is a bit elusive. From my experience, it’s not something you set out to find; it’s something that finds you – at the sake of sounding lame. It’s a natural progression and can’t be forced. However, once you have a style you will know it. You’ll find everything you paint, unless you’re consciously avoiding your style, will have a similar appearance or aesthetic. You could paint a unicorn and a daemon, and your style will be evident when comparing the two. My favorite painters all have their own style. People who accept and acknowledge their style, become comfortable with it, and that comfort shows on the finished model. Techniques aren’t forced, color choices work and the result seems alive. Those who seek to deny their style, to intentionally avoid what they are comfortable with, will never be content. Having a style doesn’t pigeonhole you either. Like anything with art, it’s an ever-evolving process and some people will go through various styles. What you’re comfortable doing today may not be the same in a year or two. Ultimately it’s about accepting your abilities, knowing your limitations and creating something that you are happy with. Now, I’m not educated in the arts. I can’t sit here and spout of all sorts of great artists from history that have been innovative and created unique styles. 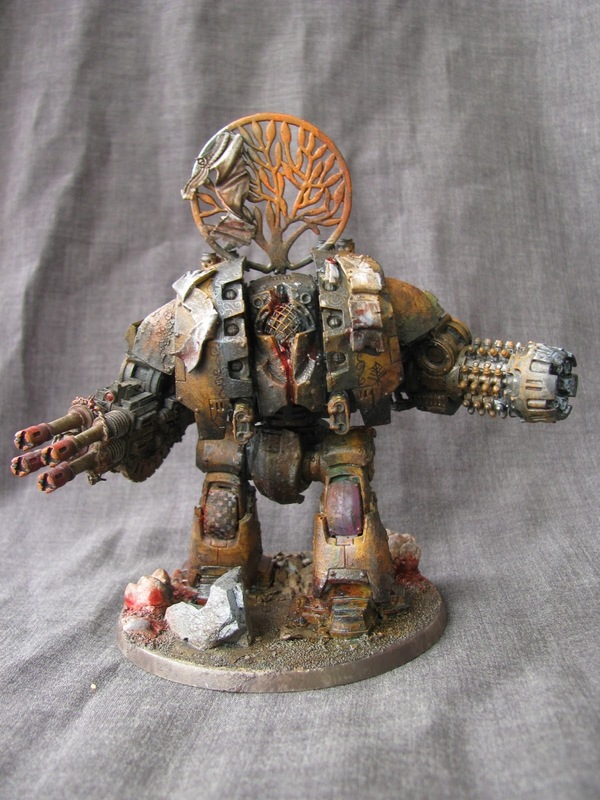 I could, however, show you lots of work from other hobbyists that have styles I admire. There’s something some of you may recognize in D Power’s style – it’s very John Blance inspired. The thing you’ll notice is that no matter what model each of these painters is working on that there’s a common style between everything. You know it’s the same painter despite being different types of models. The style is prominently displayed. Johan is a painter I recently discovered on Twitter and I absolutely love his work. He does such an amazing job with contrast and his models just pop right out at you. Some of these are of better quality than others, but my style should be apparent, well, it is to me anyway. 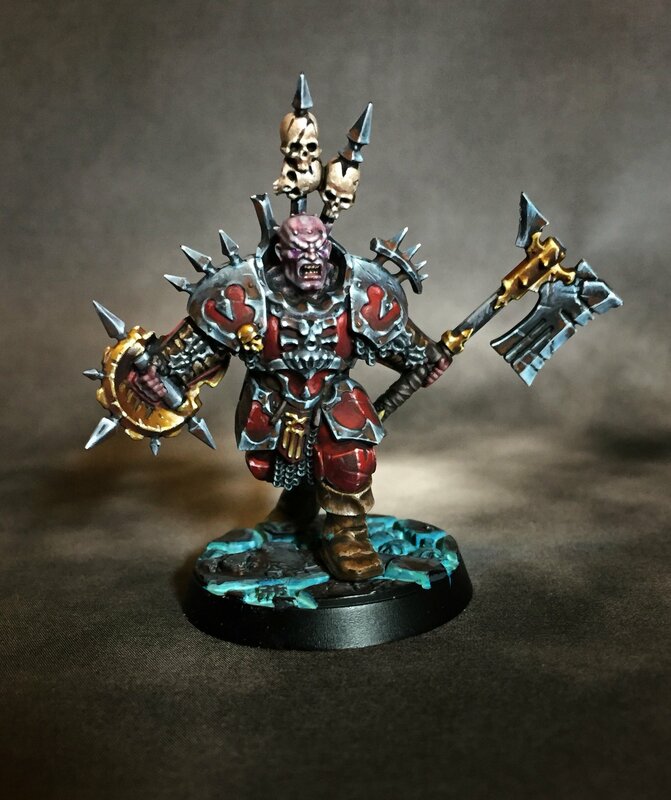 This is a style that began when I first got into 40K. It became more apparent on my Space Marines (Fate’s Angels), and then on my Chaos Marines (Disciples of Twilight). I love contrast. My stuff can often be on the cartoony side of things with shading and highlights. I will shade white with black and relish that hard contrast. I will highlight black with white to show strong edges and pull the eye. My color composition will often have an element or two that just jump out with boldness. I love the separation of color I get with strong shadows and bright highlights. Using strong contrasts and bold colors isn’t in itself a style, no more than layering paint is. Really it’s about how it all comes together. I use black primer on everything because I prefer darker tones. Also, I like to try to create texture on my model, through paint, where appropriate. I use a lot of complimentary colors for most of the model, sometimes to the point of monotone, with a few distinguishing elements to jump out. I’m sure I could think of a few other things, but the point is you take that, and then add in my like of strong contrasts, and you get what you see above – my style of painting; a composition. It took me a while, in all honesty, to accept my style. I felt I should be creating realistic representations of my models. I would constantly debate the choice of color for shading (would it really be that dark or that tone?). 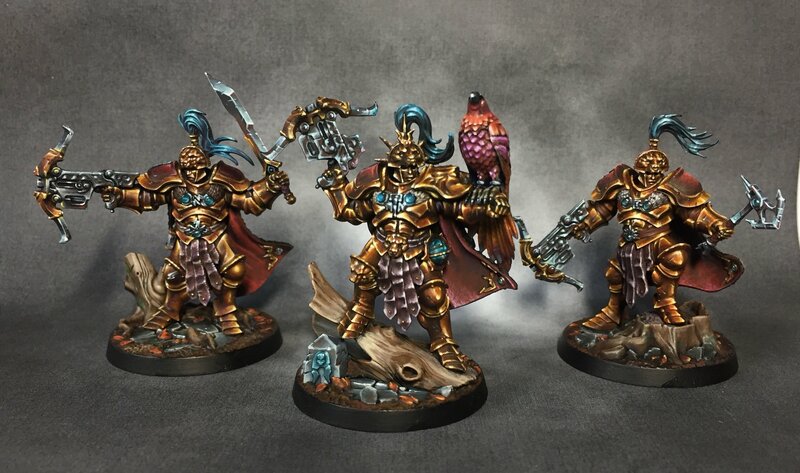 I’d struggle with the proper brightness for highlights (would this red be more orange or pink with that lighting?). In short, I was routinely fighting with myself to create something. Not only was the effort exhausting mentally, I was never 100% happy with my results. 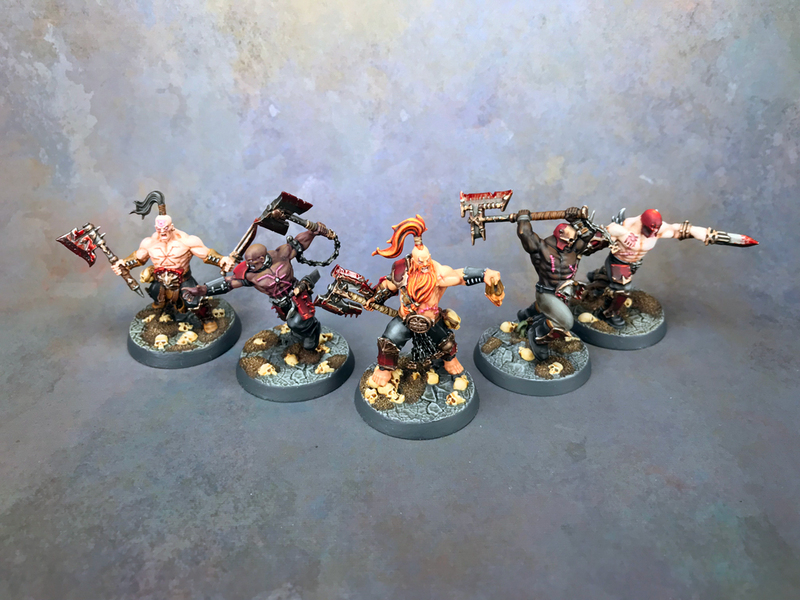 The day I stopped overthinking painting my models was the day it all came together. Now, I just paint the way I’m comfortable with and it may not be realistic, it may not be what others would do, but I enjoy my style. The other interesting thing with style is the things other people will pick up on that you don’t. I know I use strong contrast, and that’s what stands out to me, but I’m sure some of you will notice something I’m not. That’s art! Over the years I’ve come to learn that the biggest way to find your style with painting is confidence. If you question yourself as you paint, feel your work is lacking, then you’ll never discover what makes your work unique. You have to own what you do, present it with pride and confidence, and then you’ll come to see your work in a new light. Now, I’m not saying you shouldn’t push yourself, or feel everything you paint is amazing. We all question ourselves, and anyone who is 100% happy with their work is lying to you. However, you should acknowledge your work for what it is – a piece of yourself you poured into a model. Be happy with it and remember there’s more models to paint, and more time to improve. It’s very easy to look at the work of painters you admire and get discouraged. Hell, probably the first 5-6 years I was painting that’s all I did. I would find great painters, see what they could do, get jealous of their skill, and feel terrible about myself. It’s so very easy to do that and it’s human nature, we all do it. 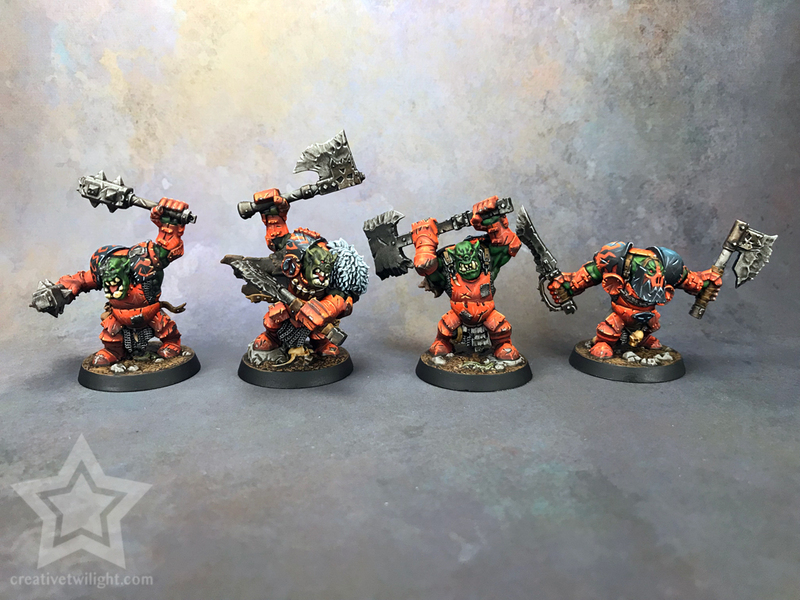 Eventually I started painting models I was very proud of. 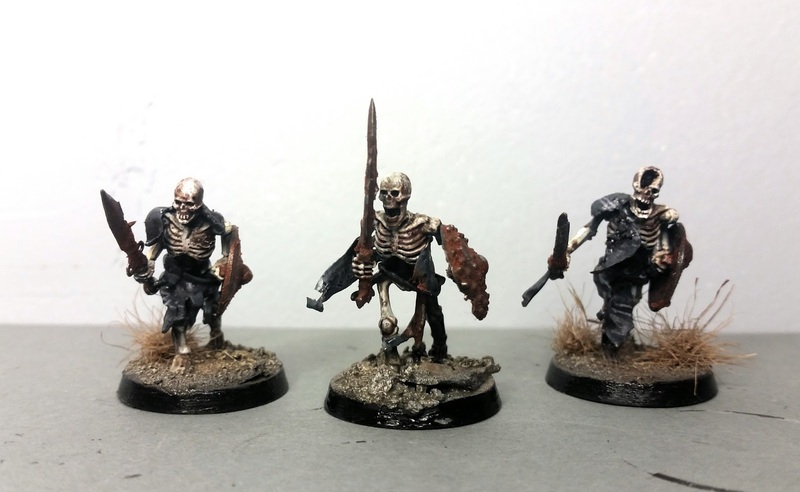 There were much better painted models to be found by other painters, but I was creating my best work. I would put my work out there on various forums, and also my blog, and the feedback was positive. I knew my painting wasn’t amazing, I accepted that, but other people were enjoying my work and that felt great. It wasn’t that the opinions of others were inflating my ego, but it gave me a confidence I lacked before. With that confidence I saw painting in a whole new way. It wasn’t about replicating the work of better painters, or learning advanced techniques to improve my skill. It was about taking pride in my style of painting, what made my work unique, and presenting that. I also found that once I realized that, that I found painting much more enjoyable. Painting felt more like art at that point and less like a mental competition with myself. Yeah, your style is similar to big nate’s. very smart and crisp on marines. Very thin hi lights. Love the look! I have a very fast untrained dry brush style that works ok for gaming. Totally different! Great post. 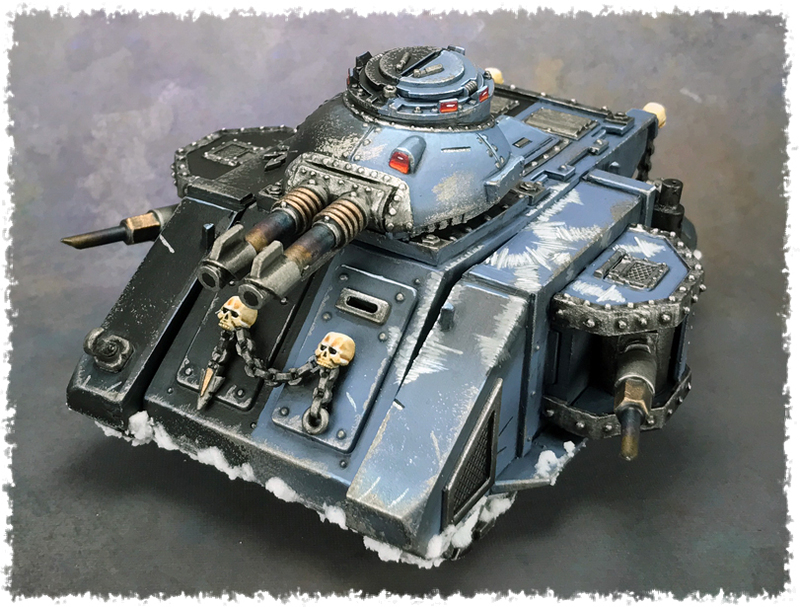 I agree, the thing I like about a paint-job is the style, and for me a strong style can overcome technical weaknesses, whereas a technical paint-job lacking a distinctive style has nowhere to go. It would want to be technically superb, or else it’ll just look unfinished. Thanks. I admire those who can paint super realistic but it’s just not for me. Style is a very important aspect of painting and building models. It’s good to recognize the style(s) you are most comfortable with and what you tend to stray into. By recognizing your tendencies you can more consciously work to improve upon that style. It helps you understand the end result you are looking for and identify the right techniques to get there. At the same time by knowing what elements go into your current style you become able to see other elements that you can mix into your style, or even try another style entirely. 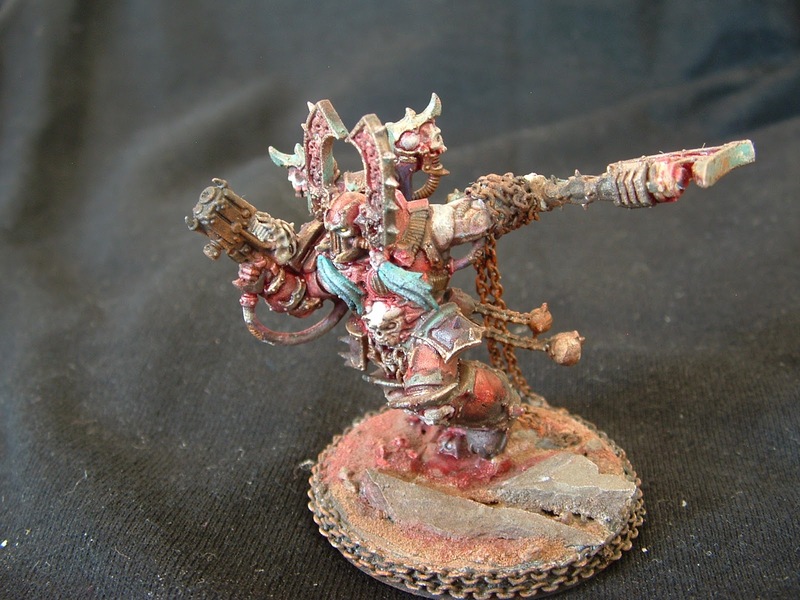 Personally I tend toward darker or muted colors, worn metals, and a bit of a dingy finish with my Orks and Marines. 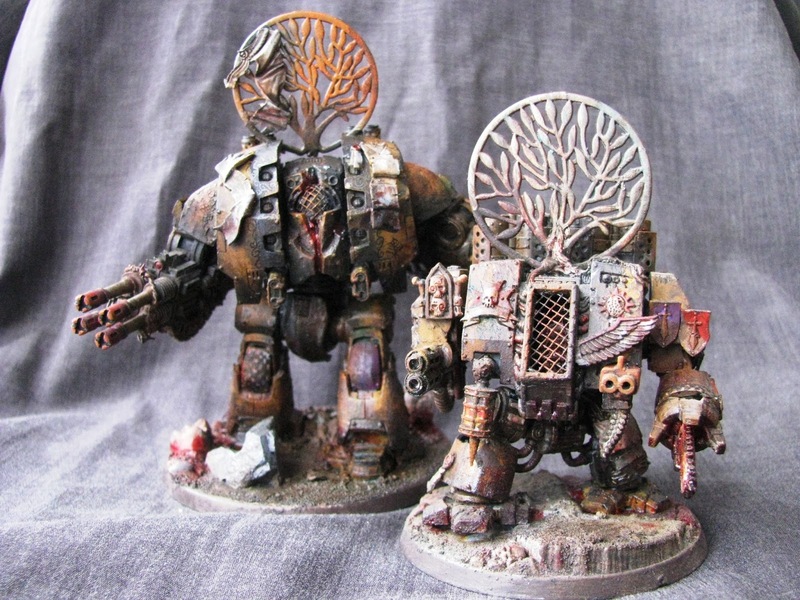 I use a lot of washes, drybrushing, and stippled colors to represent a certain degree of wear and patina. However, I envision the Eldar as being ritualistically fastidious about their equipment. Even during a protracted campaign I believe they would take time for contemplation and proper maintenance as every piece of equipment is a piece of art and quite possibly and ancient relic. When painting Eldar I tend to use a lot more blending and dark lining to create crisper contrasts. I also tend toward cleaner and brighter color choices. Being able to change up a style is an important element. You stick to the same thing for every army you do and they all start to look the same. That may not be a bad thing but it may not be what you’re after either. I tend to stick to the same style but change up technique a bit. Just personal preference. Lovely article. I’m defiantly in the development stage of my style. I tend to pick a skill to work on for each army. Adding to my toolset with each one. 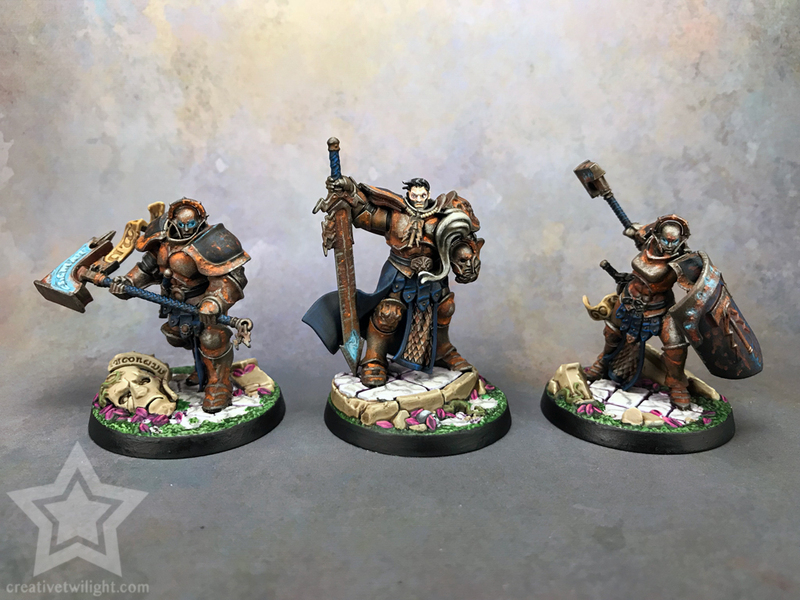 Farsighted enclave was edge highlighting. 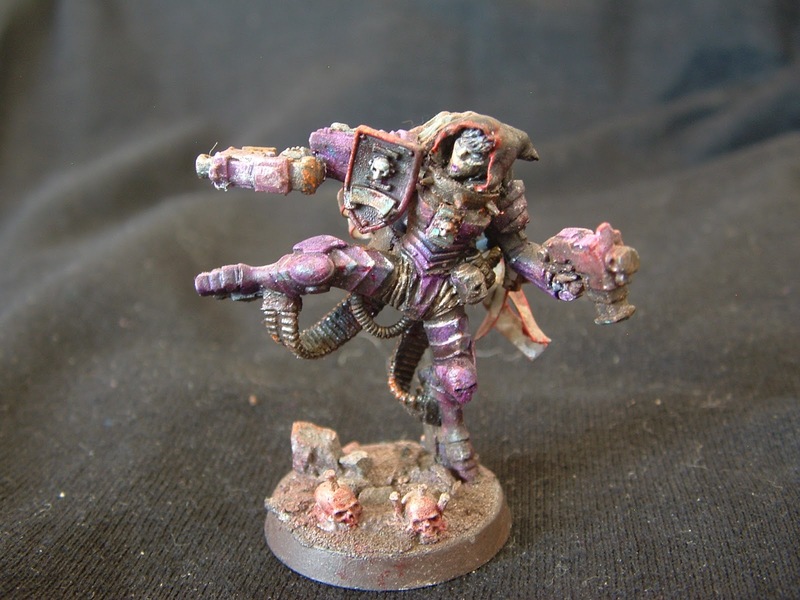 Mechanicus was airbrushed highlights and osl effects. 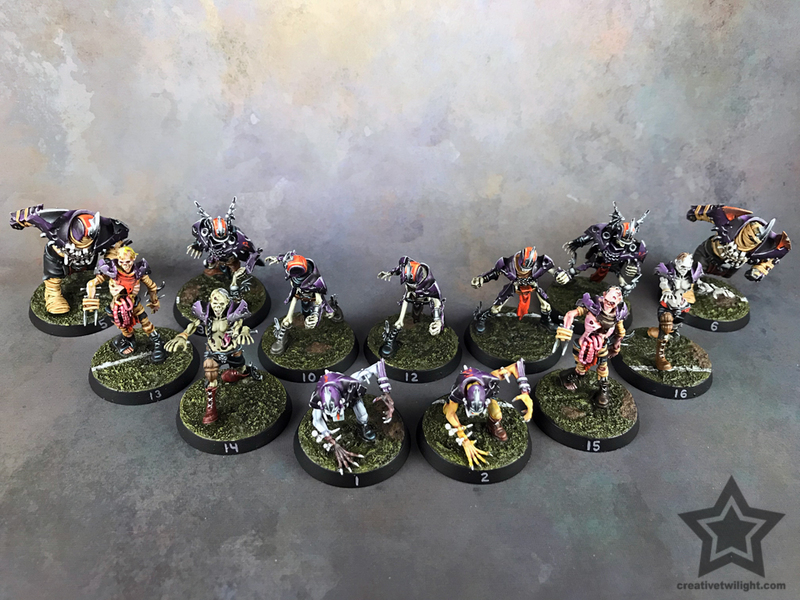 Tyranids was blending edging with more organic washes and airbrush highlighting. 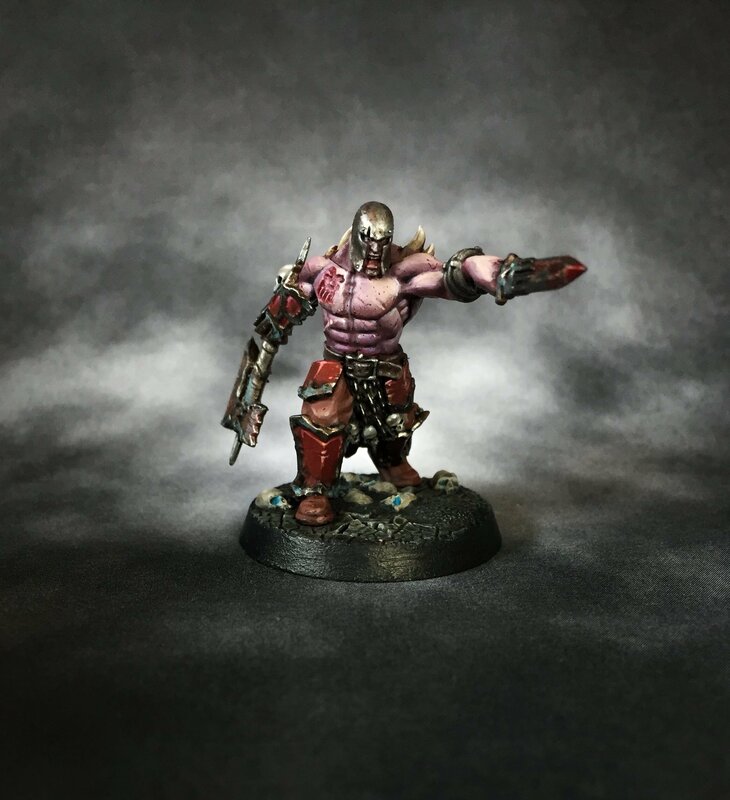 Genestealer cult was all about learning to speed up my existing painting skills and focus on style rather than technique. 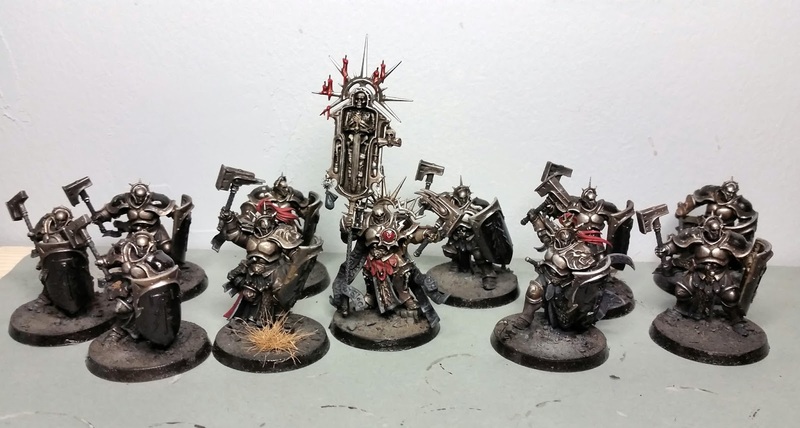 Picking what to edge highlight rather than the whole model. What elements to put extra time in and where to keep it basic to draw the Eye to the right elements and let the rest fade into the background. That said I love your style Tony. You and Warren have distinctive styles and great skill in conversions. Something I enjoy to see but can’t bring myself to do much of. 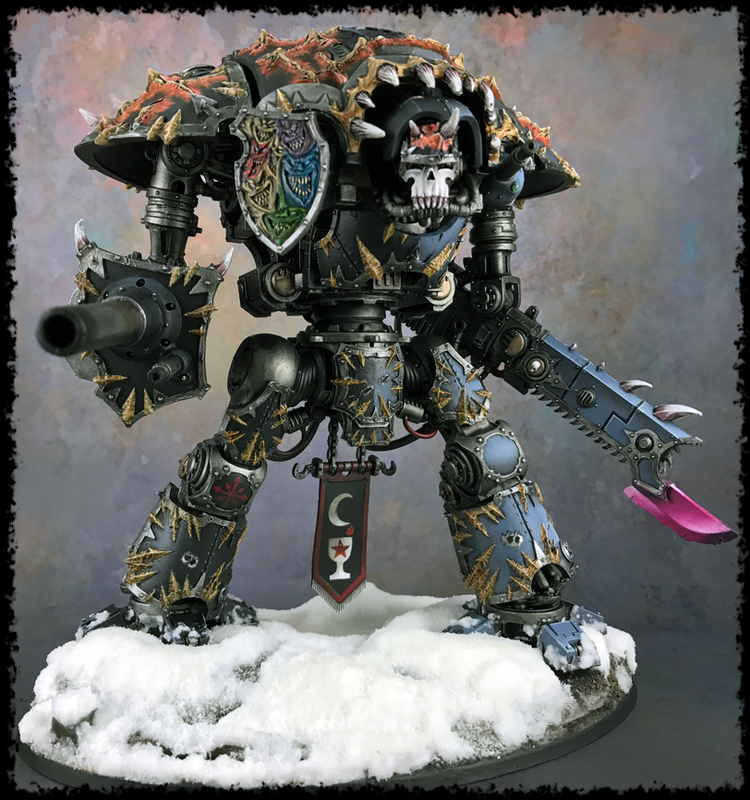 I’d rather spend my time on the build magnetizing a model for all options than convert for a unique look. Must be my engineer brain. You’ve got the mindset for it. Where you’ve picked up techniques on entire armies, I do it on a model basis. When/if you sit down and paint an army using everything you’ve learned then you’ll probably see it come out, the style. Even without fostering it, style, it can still emerge regardless. If nothing else I figured letting someone know they aren’t the only one struggling with stuff like this would be of value. Great article Thor. As someone who is still defining their style it was really interesting to read your thoughts about it. Thanks. Like I said, it can be a struggle to get there and more so to accept it when you do. I think we all envision our style differently than what we end up with and fight it. It’s a journey but the ride can be fun.